Click Site Management to go to Site Management page. Site Management feature is available only for advanced buyers. 1. Type - the traffic type of the source. 2. Daily budget - the maximum daily budget amount for a specific traffic type, publisher or site. Total row shows the maximum daily budget set in campaign settings. 3. Daily leads cap - daily leads capacity for a specific traffic type, publisher or site. Total row shows the maximum daily number of leads set in campaign settings. 4. 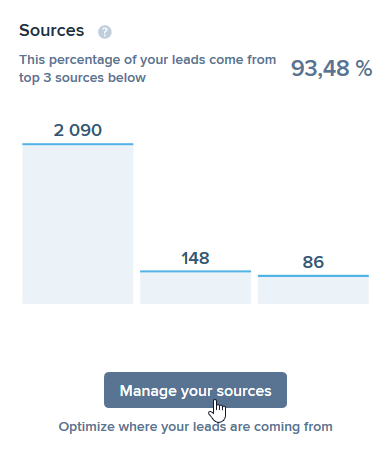 Leads - the number of leads that came from this source during the last 30 days. The next 7 columns are based on uploaded disposition data. Some of them are not displayed by default and can be selected in column settings. If on of disposition status was set as a goal in campaign settings, the corresponding column is marked with green (Appointment column on the image above). 11. CPA - calculated CPA based on disposition files uploaded. 12. CPL - average cost per lead from each source (traffic type, publisher or site, depending on the grouping selected). CPL is calculated as the ratio of total payout for leads from this source to the number of leads bought for the selected period. 1. Source ID (for sources only) - the ID of the source that consists of site ID, publisher ID and the last 3 characters of sub ID. 2. Publisher ID (for publishers only) - the unique ID of the lead publisher. 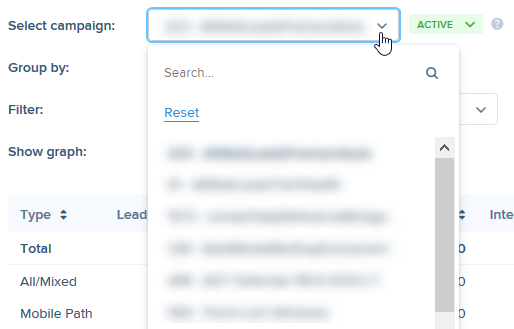 You can pause/unpause, prioritize/deprioritize sources and set payout rules (for direct post campaigns). Active - All sources - the campaign is connected to all existing sources. It means that all leads from all publishers and sites from the corresponding vertical will be proposed to your campaign. You still can pause sources that are not relevant for this campaign. Inactive - Campaign off - the campaign will be paused and disconnected from all the sources. It stops receiving traffic until you select one of the active modes. By default, each newly created сampaigns are set to off. 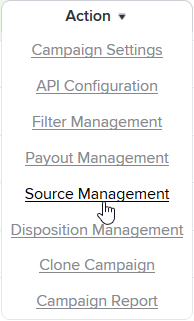 Select All sources and pause sources that are not relevant. 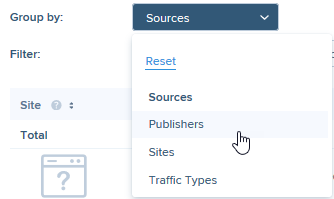 Publishers – the table is grouped by publisher ID with options to pause/unpause, prioritize/deprioritize the particular publisher. Traffic Types – allows configuring payout rules for the campaign depending on the specific type of traffic. Sites (available only for advanced buyers) – the table is grouped by site ID and you can pause or unpause any site. The page can be also filtered by date, source statuses and publishers. Select one or several statuses to view the most relevant information.